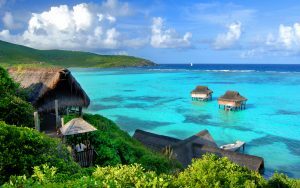 Rory McIlroy and Erica Stoll have started life as a married couple in style, checking in to Canouan Island, an exclusive private island retreat in St Vincent and the Grenadines (Caribbean), for a no-expenses-spared 10-night stay. The four-time major winner and his model wife flew out to the island on Saturday 22nd April 2017 after a lavish three-day wedding extravaganza at Ashford Castle, in the 27-year-old swing-king’s native Northern Ireland. After the couple’s star-studded ceremony slowly came to a conclusion in the early hours of Sunday morning, the newlyweds were whisked off to the airport before jetting off for a ten-day romantic break to the Caribbean. 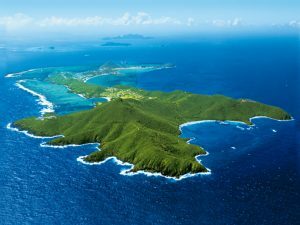 Their honeymoon destination of choice was Canouan Island, a luxurious private island resort located in St Vincent and the Grenadines and co-owned by McIlroy’s friend and fellow Irishman Dermot Desmond. 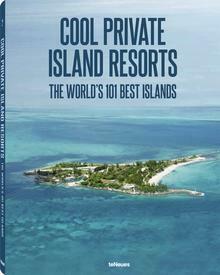 The resort, which even comes with its own golf course, is widely considered to be one of the finest private island destinations in the world and usually commands eye-watering rates of approx. USD 14,000 per night. For that price, guests are guaranteed a once-in-a-lifetime vacation, with access to four gourmet restaurants, an exclusive beach and yacht club, a spectacular natural spa, the aforementioned 18-hole golf course and a host of breathtaking beaches. All in all then, the perfect honeymoon destination for a champion golfer and his bride.